Mt. Diablo State Park is making a gradual recovery after the Morgan Fire burned more than 3,000 acres in the area last September. 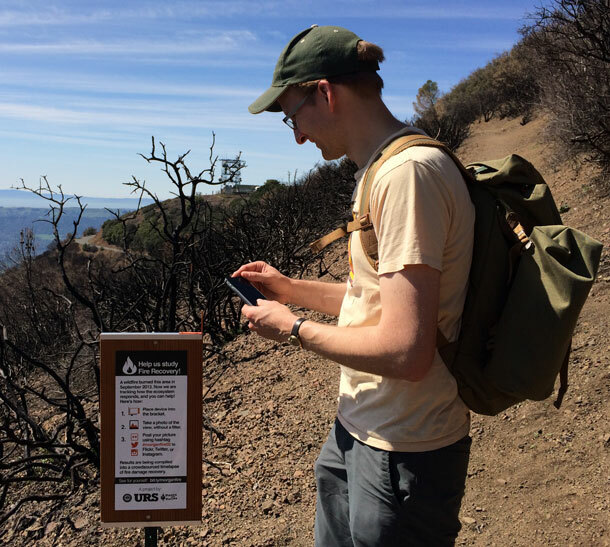 A citizen science group is asking local hikers to help document that recovery with their smartphones. 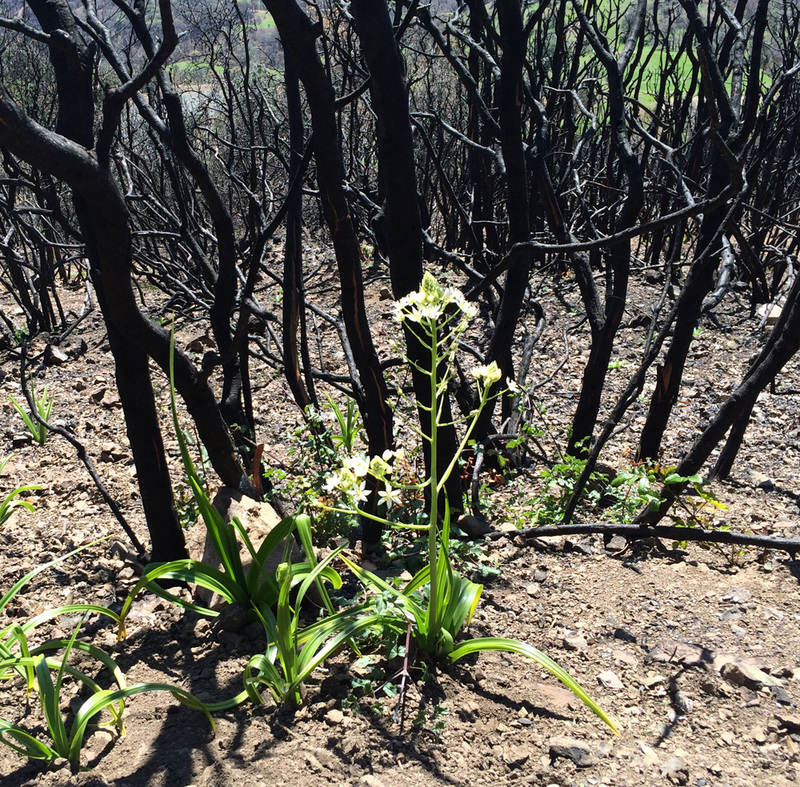 A huge burned swath still covers one side of the mountain, but green shoots are starting to come through. “Things are starting to grow especially now that we’ve that little bit of rain,” says Dan Rademacher, a co-founder of Nerds for Nature. The all-volunteer group blends technology and the outdoors through projects like using drones to document biodiversity in Lake Merritt. They've posted a series of signs along Mt. Diablo's Summit Trail, designed to turn hikers into citizen scientists. The signs have an L-shaped bracket where hikers can place their smartphones to snap a picture. That way all the photos of the burned area are taken from the same angle. Then, they upload the photos to Flickr, Twitter or Instagram with a special hashtag. “Oh, it’s really cool and I’m really interested in the wildflowers that will be triggered by the fire,” says Mason. Rademacher says they’re hoping to get hundreds of photos by the end of year to document the landscape’s recovery over time. 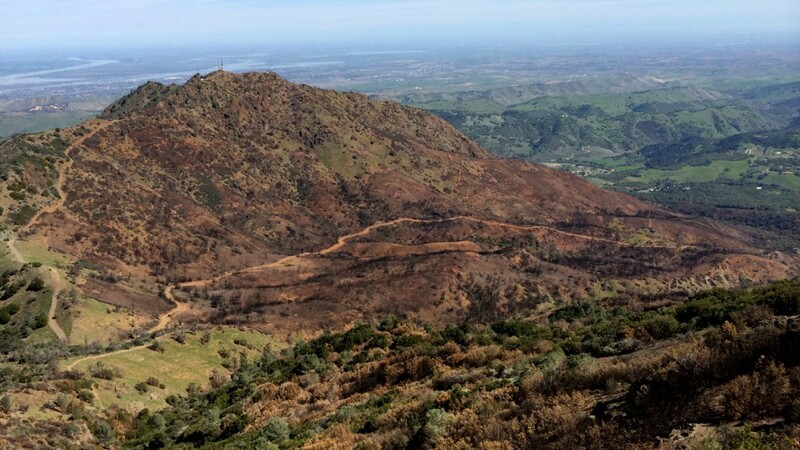 “Basically the hikers on these trails become a sort of distributed remote sensing network to create a time lapse of fire recovery here,” he says. The photos could also contribute to scientific studies being done on the recovery. A group of biologists and botanists has also volunteered to monitor the return of plants, mammals and reptiles in three ecosystems on Mt. Diablo. Larsen says she's seeing annual plants like whispering bells, manroots and poppies emerging because of the light and nutrients created by the fire. "What is cool about the camera-stand project is that it’s capturing what we’re doing but at a higher level," she says. The project is just one example of how smartphones are becoming part of the scientific data collection process.